When it comes to feeding our babies, we obviously want the very best. 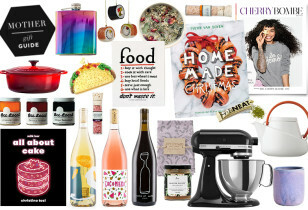 And with so many jars, squeezable packages, and the numerous brands available on market shelves, it’s pretty tough to know which to choose, or what you’re getting. 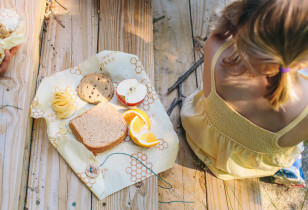 One solution: Making your own baby-friendly grub. 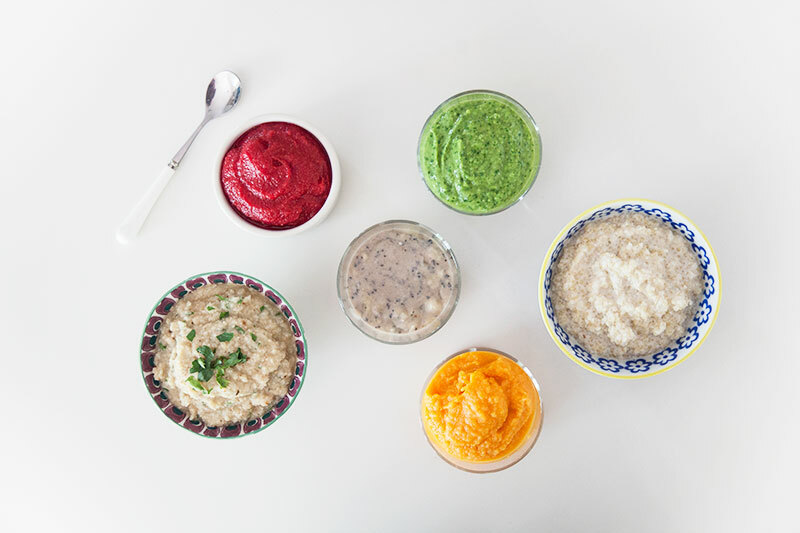 With that in mind, we’ve whipped up six incredibly delicious, creative, and easy baby purées to satisfy even the pickiest mouths. Pass the mush, please! Best for little mouths, 4-6 months and up. Boil chopped sweet potatoes and apples until soft, about 10-15 minutes. You should be able to easily pierce them with a fork. Set aside to cool. 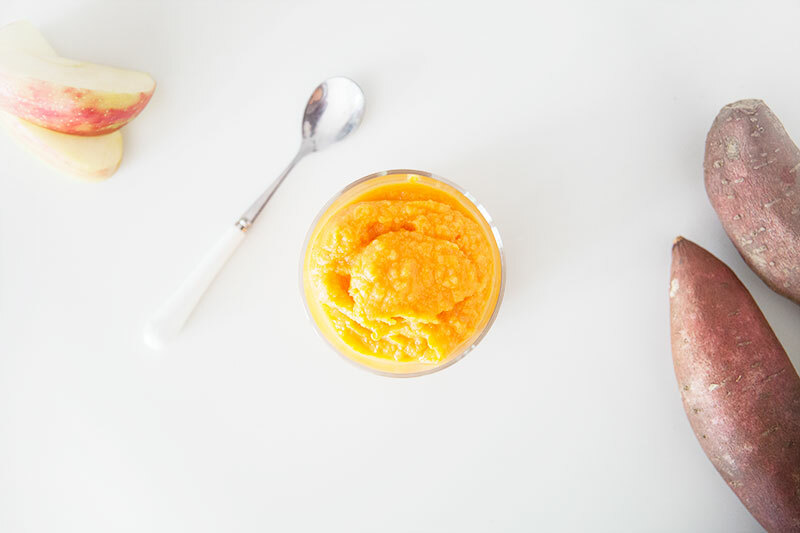 Place sweet potatoes, apples, and water into a blender or food processor and blend until smooth. If the mixture is too thick, gradually add some more water until you've reached desired consistency. Store in an air-tight container and keep in the fridge for up to 24 hours or in the freezer for 3-6 months. Makes about 1 cup of baby pureé. In a blender or food processor, blend blueberries and coconut milk until smooth. In a small bowl, mash the banana. 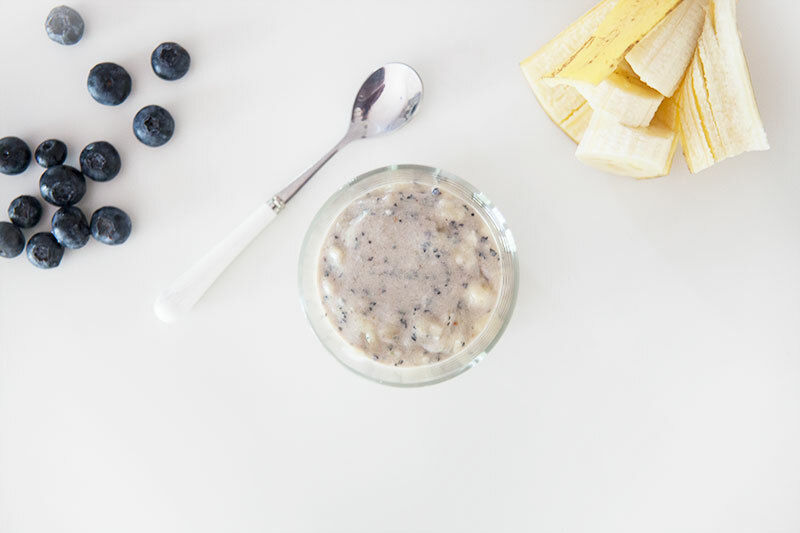 Add blueberry and coconut milk mixture into the mashed bananas and mix together until combined. 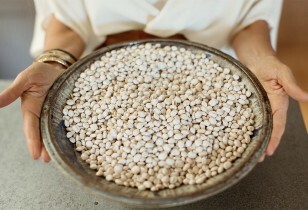 Store in an air-tight container and keep in the fridge for up to 24 hours or in the freezer for 3-6 months. Best for little mouths, 6-9 months and up. Boil chopped carrots and beets until soft, about 10-15 minutes. You should be able to easily pierce them with a fork. Set aside to cool. 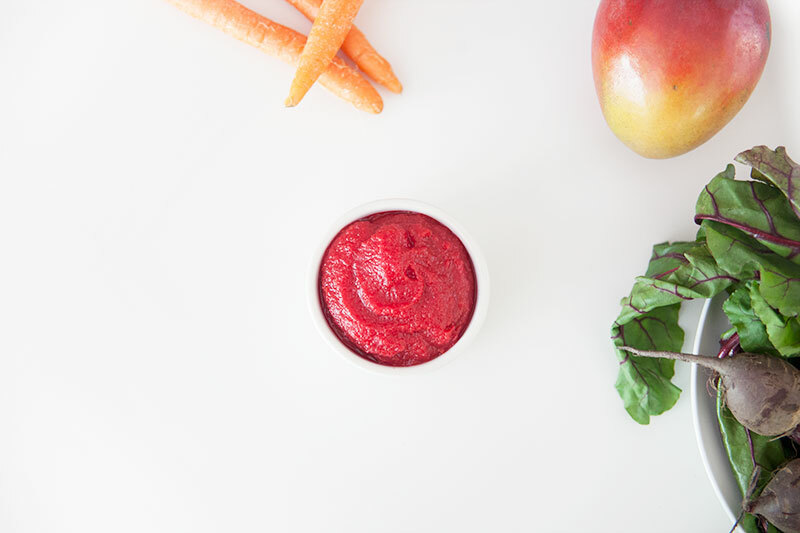 Place carrots, beets, mango, and water into a blender or food processor and blend until smooth. If the mixture is too thick, gradually add some more water until you've reached desired consistency. Store in an air-tight container and keep in the fridge for up to 24 hours or in the freezer for 3-6 months. Quickly blanch spinach in boiling water for 30-45 seconds, remove with a slotted spoon, and place into an ice water bath to stop the spinach from cooking. Drain the spinach. 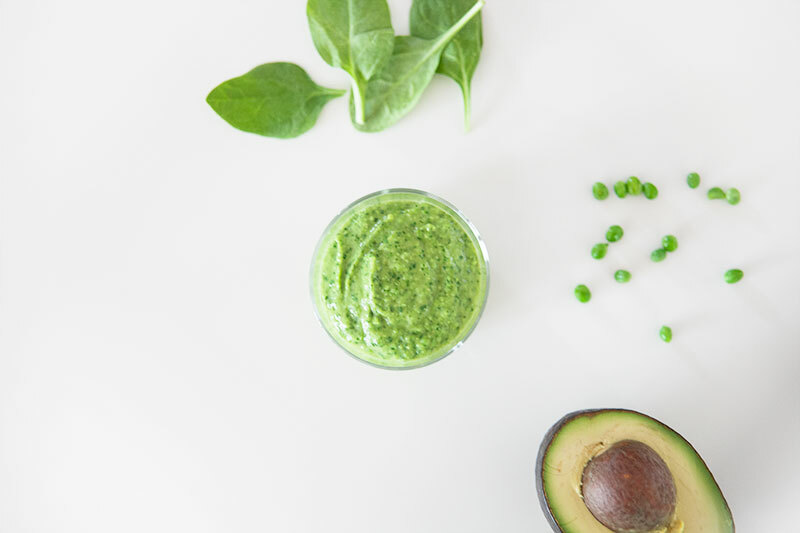 Place peas, avocado, spinach, stock, and salt into a blender or food processor and blend until smooth. If the mixture is too thick, gradually add some more stock until you've reached desired consistency. This pureé is supposed to be a little chunky. 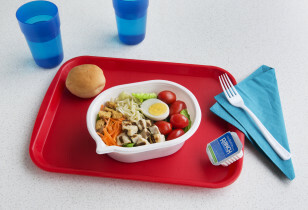 Store in an air-tight container and keep in the fridge for up to 24 hours or in the freezer for 3-6 months. Best for little mouths, 12 months and up. Boil chopped apples until soft, about 10-15 minutes. You should be able to easily pierce them with a fork. Set aside to cool. 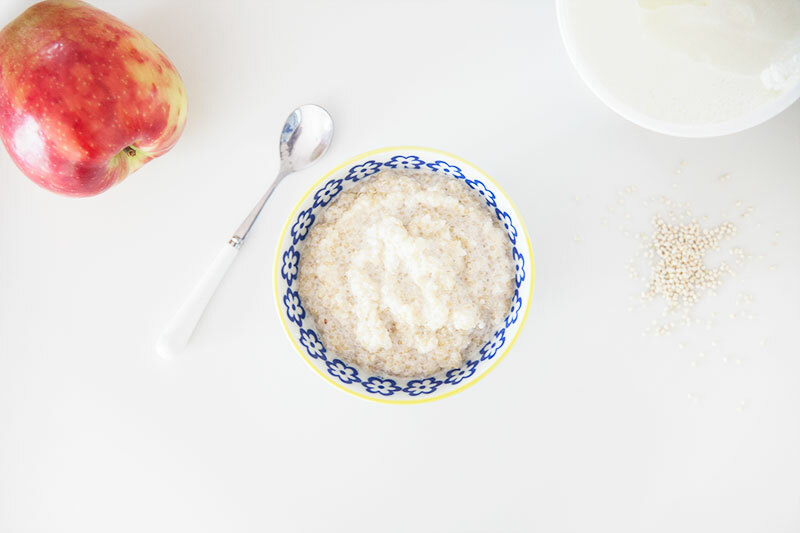 Place cooked quinoa, apples, greek yogurt, and cinnamon into a blender or food processor and blend until smooth. If the mixture is too thick, add some more yogurt until you've reached desired consistency. This pureé is supposed to be a little chunky. Store in an air-tight container and keep in the fridge for up to 24 hours or in the freezer for 3-6 months. Toss cauliflower florets with 1 tbsp extra virgin olive oil and a pinch of salt and pepper. Roast cauliflower at 425-degrees for 15-20 minutes or until soft and tender when pierced with a fork. Set aside to cool. 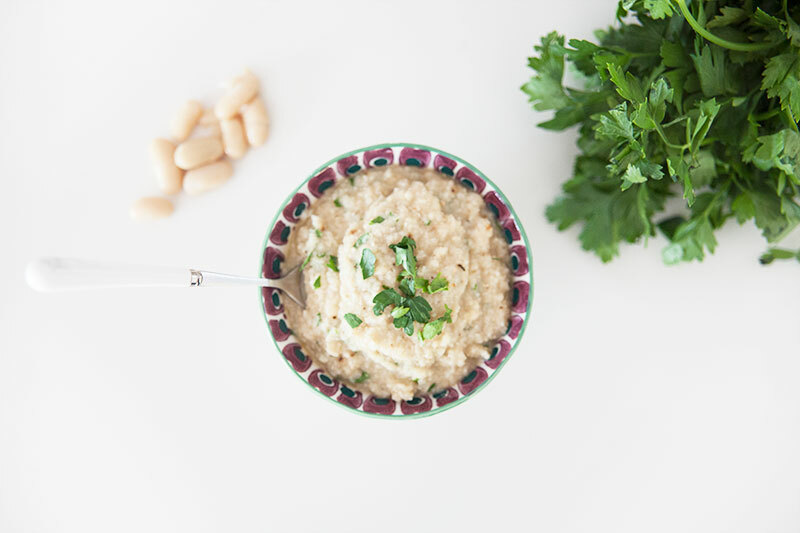 In a blender or food processor, blend cooked cauliflower, cannellini beans, stock, parsley, and a little more salt and pepper until smooth. If the mixture is too thick, add some more stock until you've reached a desired consistency. This pureé is supposed to be a little chunky. 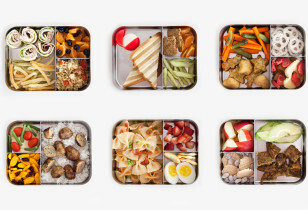 Store in an air-tight container and keep in the fridge for up to 24 hours or in the freezer for 3-6 months.